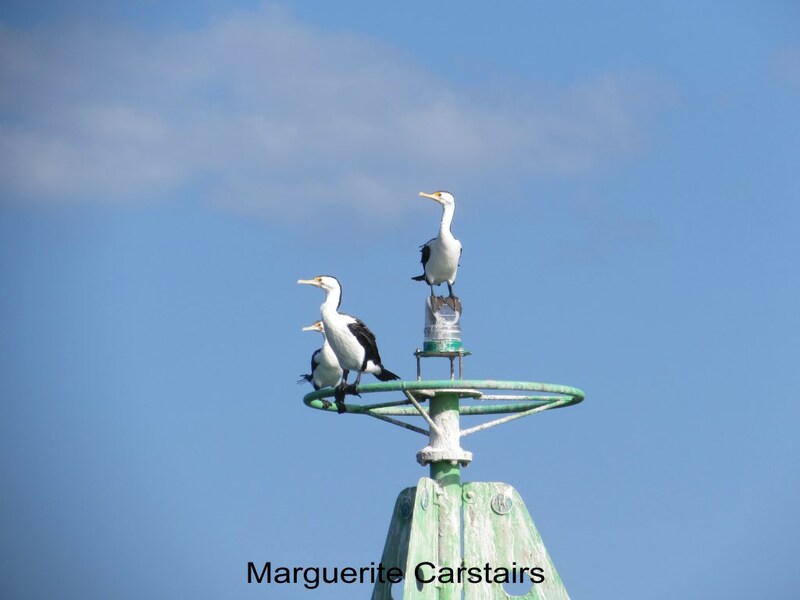 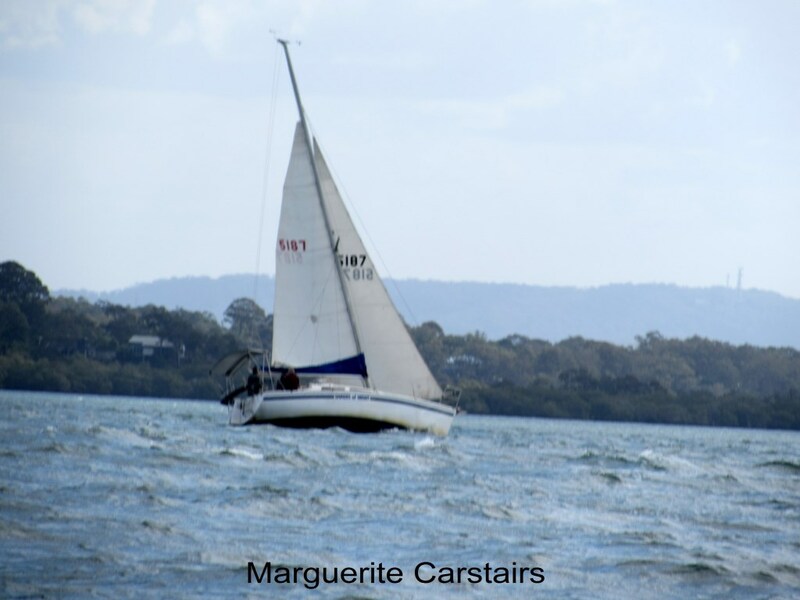 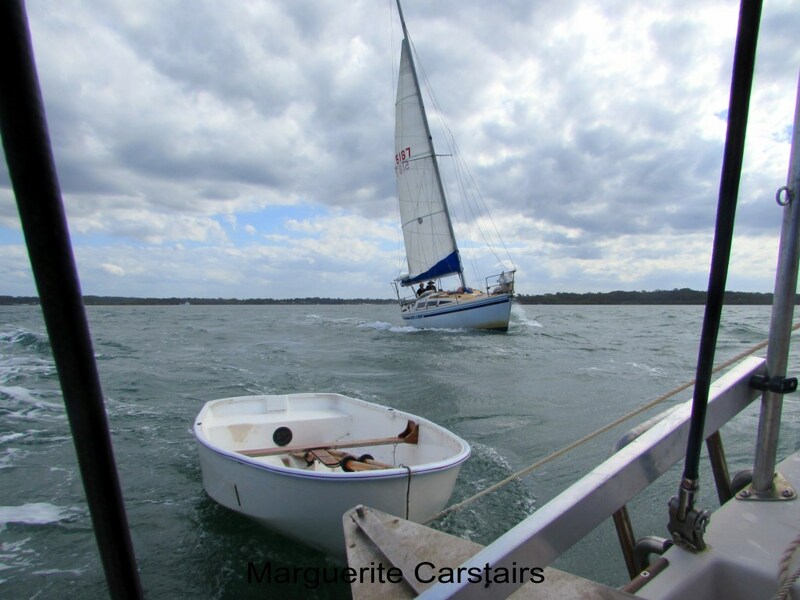 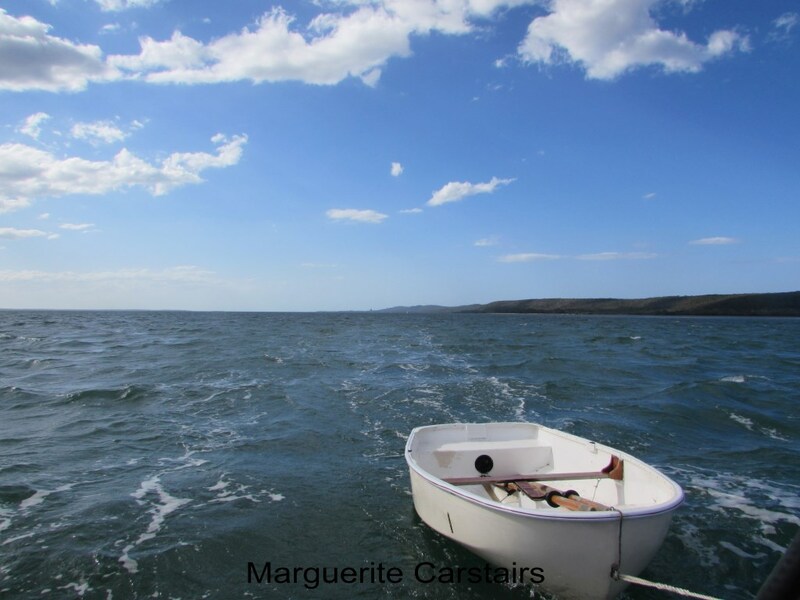 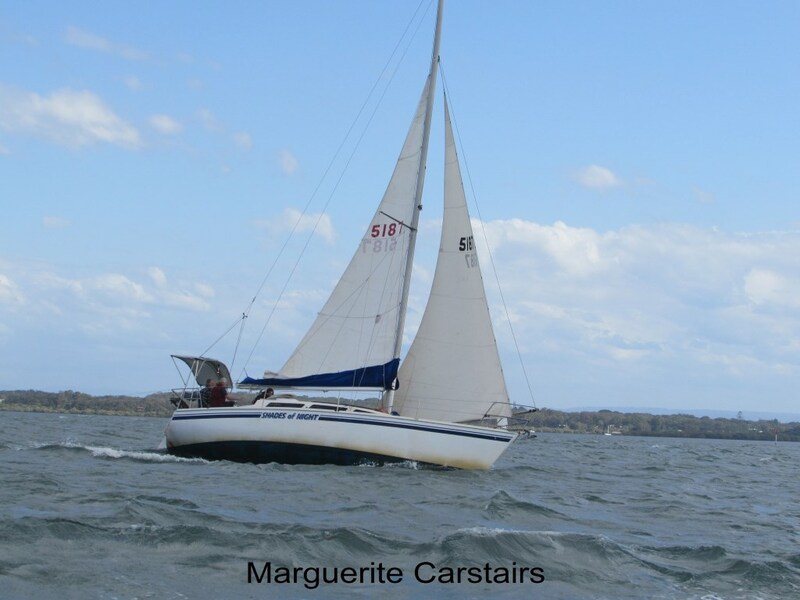 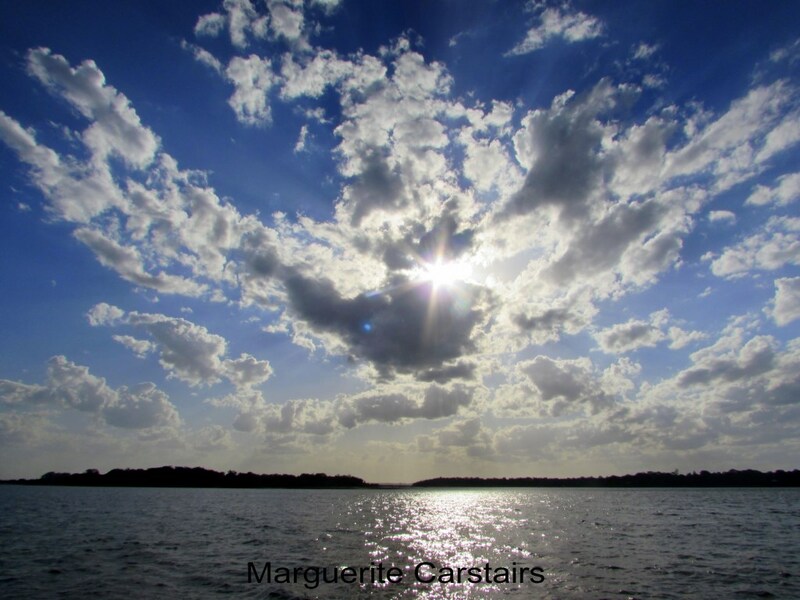 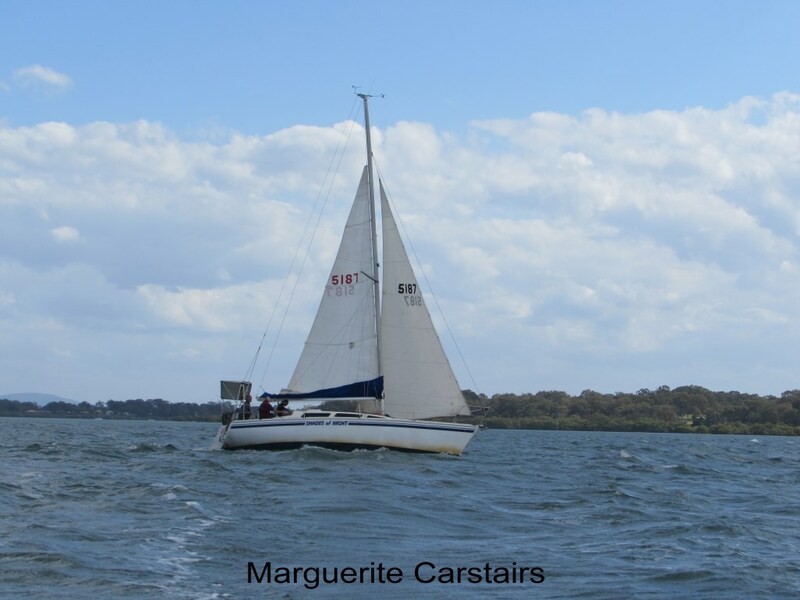 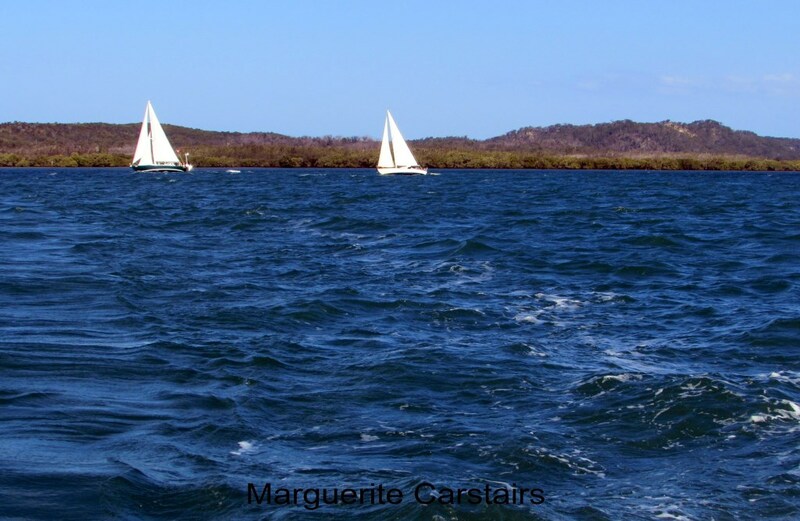 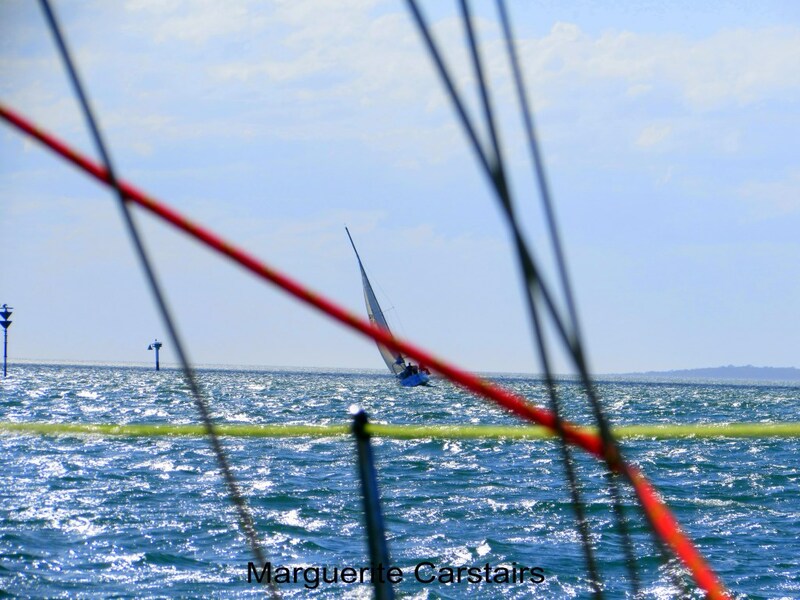 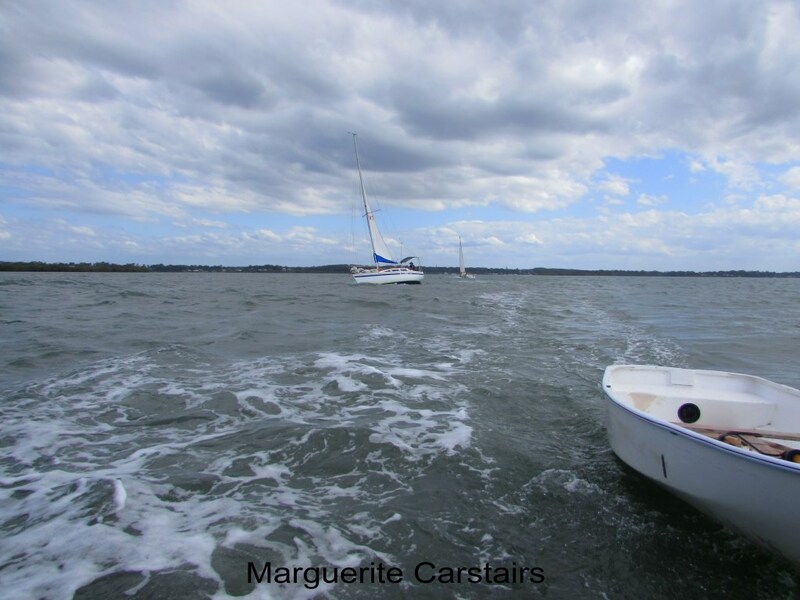 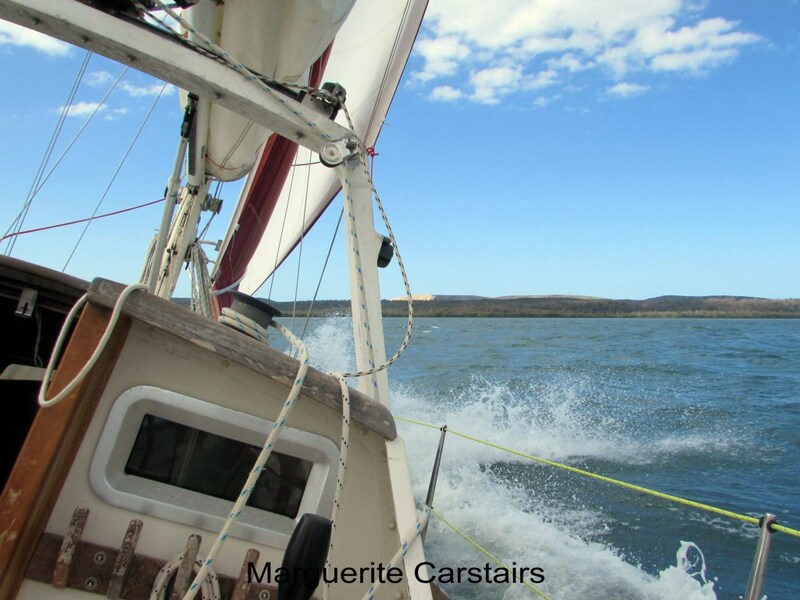 Moreton Bay is a wonderful sailing experience. 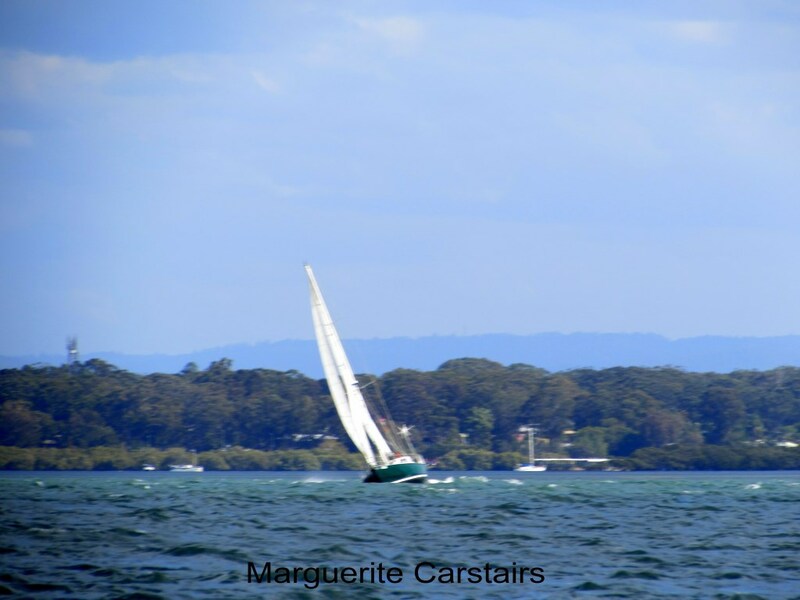 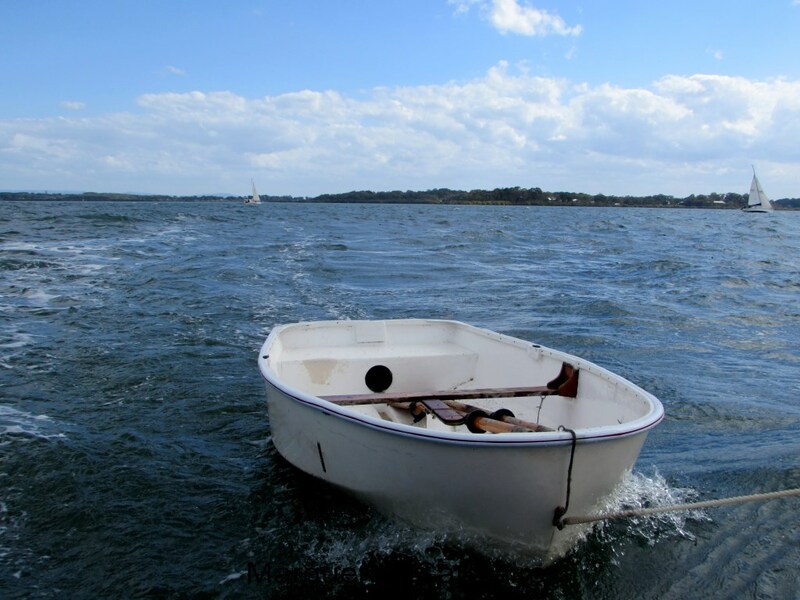 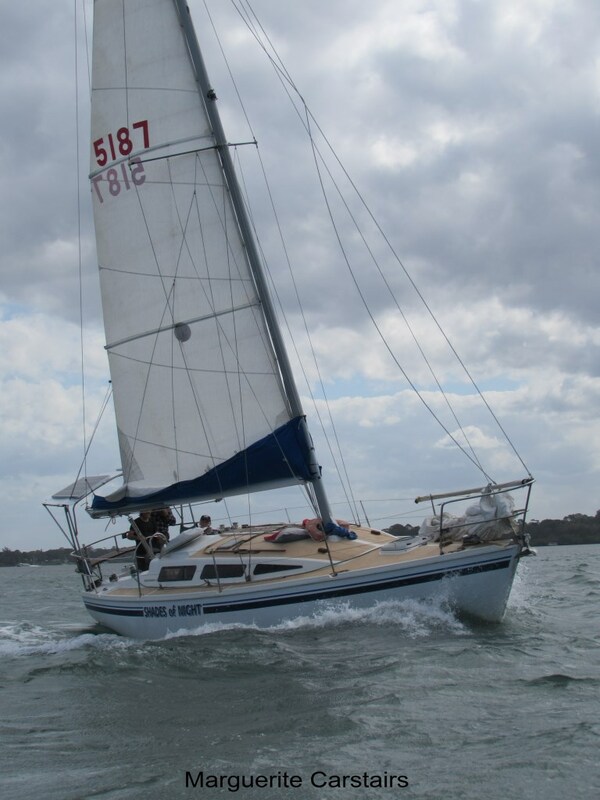 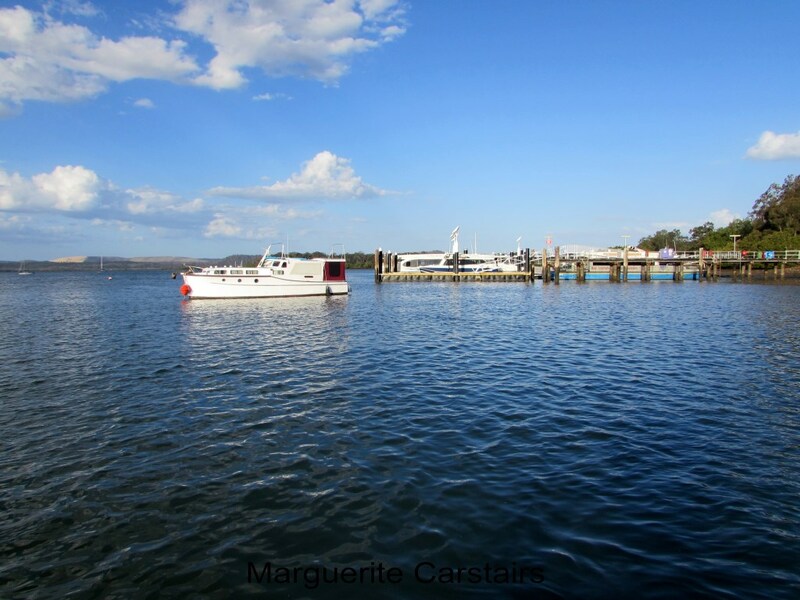 You sail from Russell Island to Stradbroke Island and back. 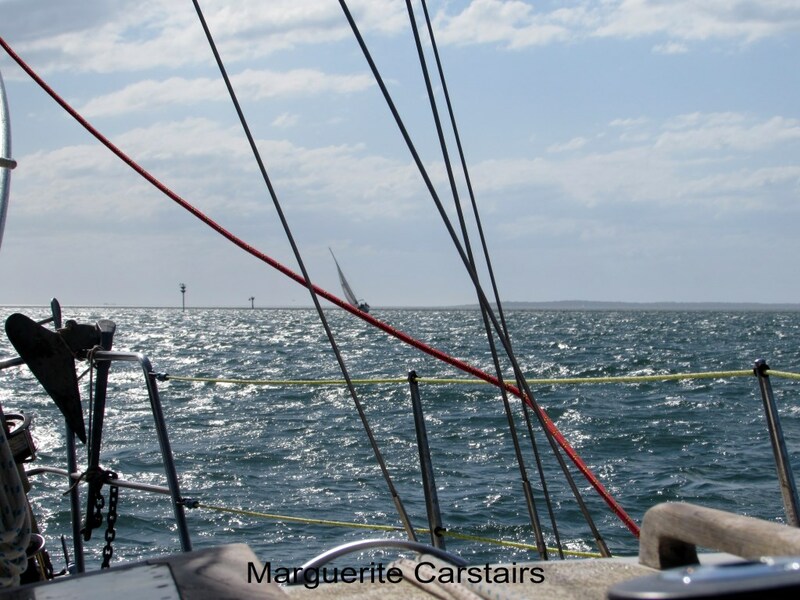 When the wind is high, the sails drive the yachts straight ahead and the return journey is more sedate and even faster. 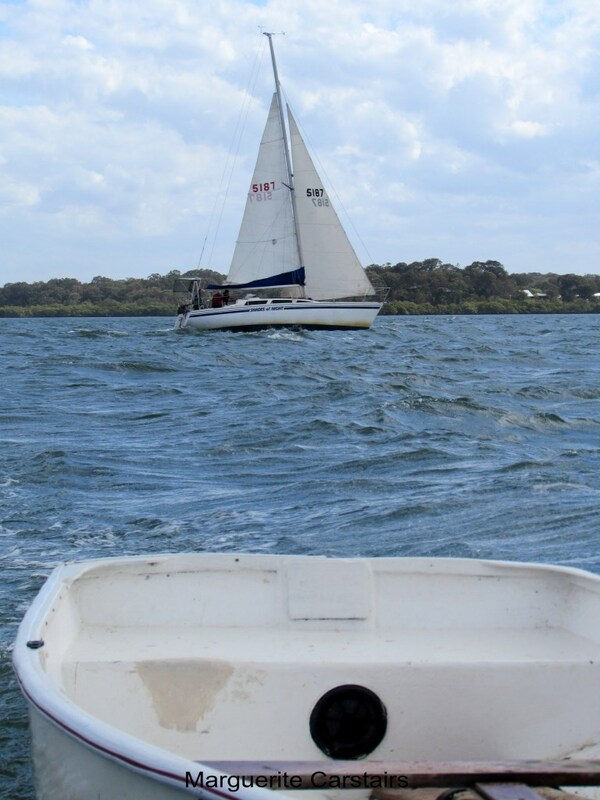 It took us 2 hours to sail to the sands of Blakeney Beach on Stradbroke Island and back to Russell island yesterday in perfect sailing conditions..
Back to the mooring at Russell Island. 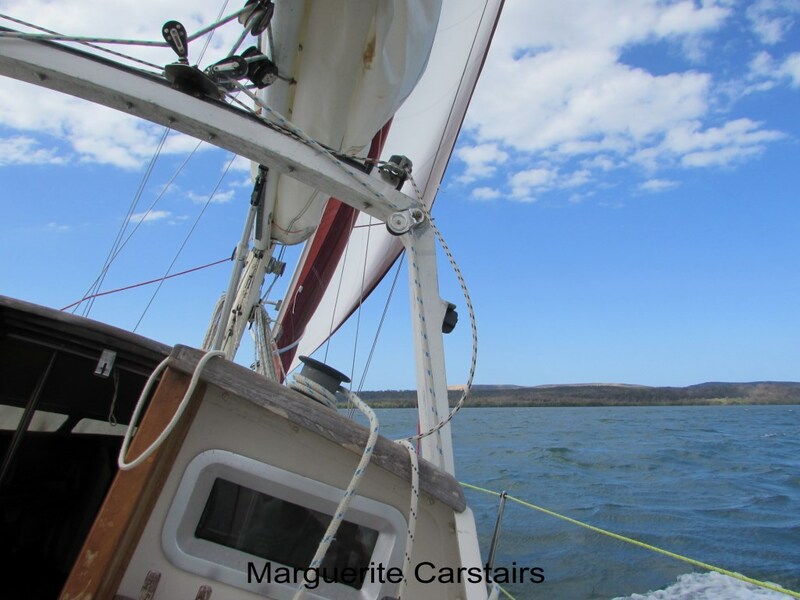 It was not easy taking these photos as I had to take the wheel while the captain did the sails and rigging and in strong winds, it was not easy to try and get a photo as the yacht would not stop still. 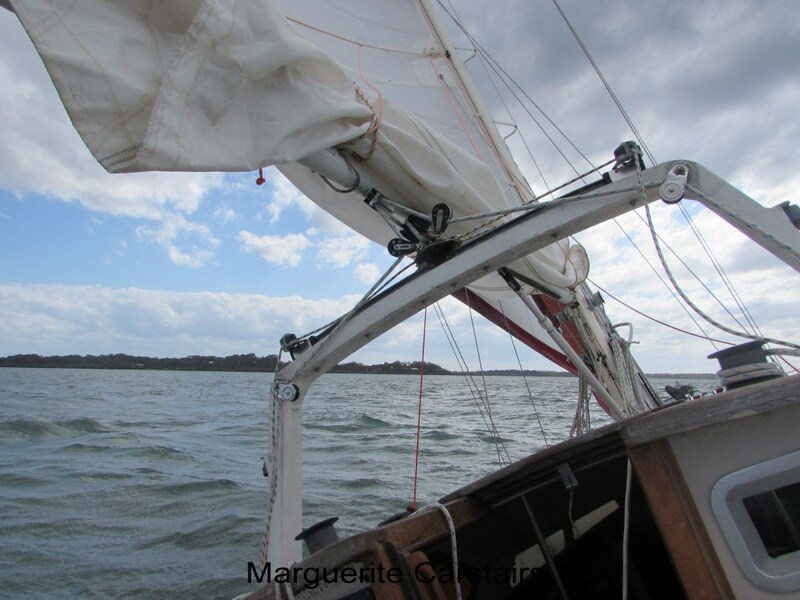 It was a wonderful afternoon on the water.